I just returned from India. 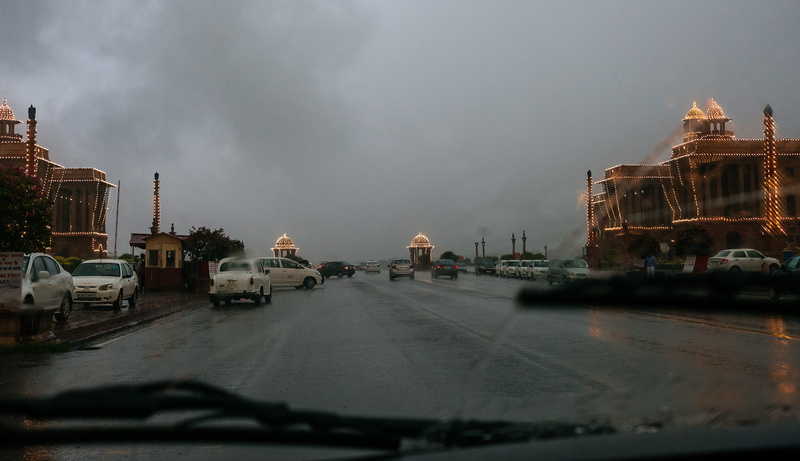 I have been there a couple of times but this was the first time I experienced the monsoon. At least for a couple of minutes. 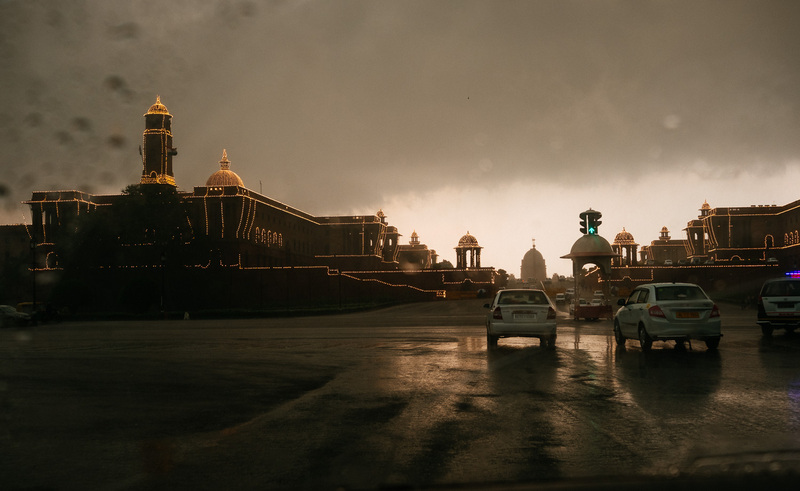 The only day in New Delhi where I returned to the hotel before sunset. So I quickly changed clothes and set off to take some images but I did not get the chance to leave the car much though. 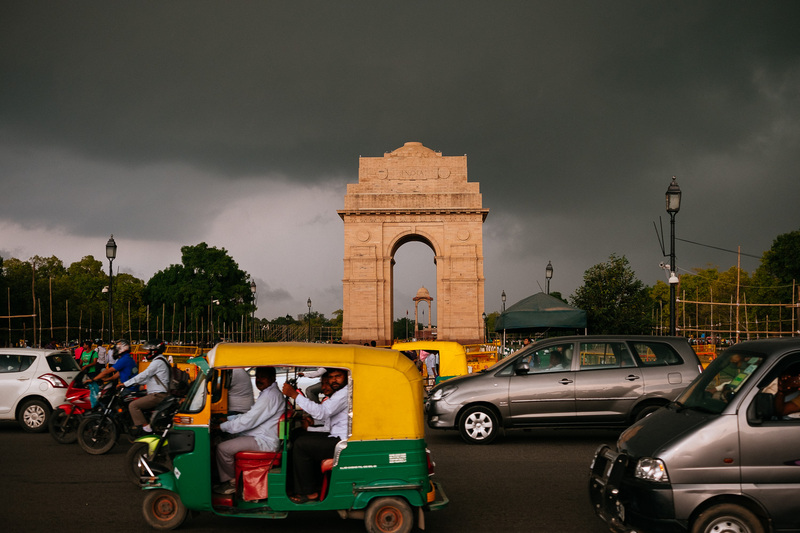 When we reached the India gate the sky was already almost black. I took a couple of shots before it started to pour down. 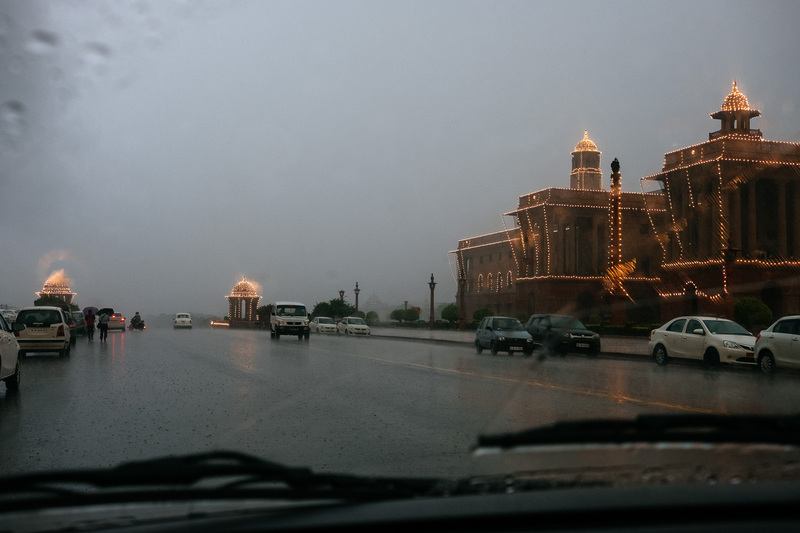 I jumped back into the car and we drove up towards the palace of the president. On the way there are two impressive buildings. The ministry of foreign affairs and the ministry of home affairs. And because of the celebrations of the Indian Independence Day on the 15th of August both buildings were decorated with fairy lights. The dark sky created a beautiful contrast to the warm light of the bulbs. It reminded me of the GUM in Moscow. 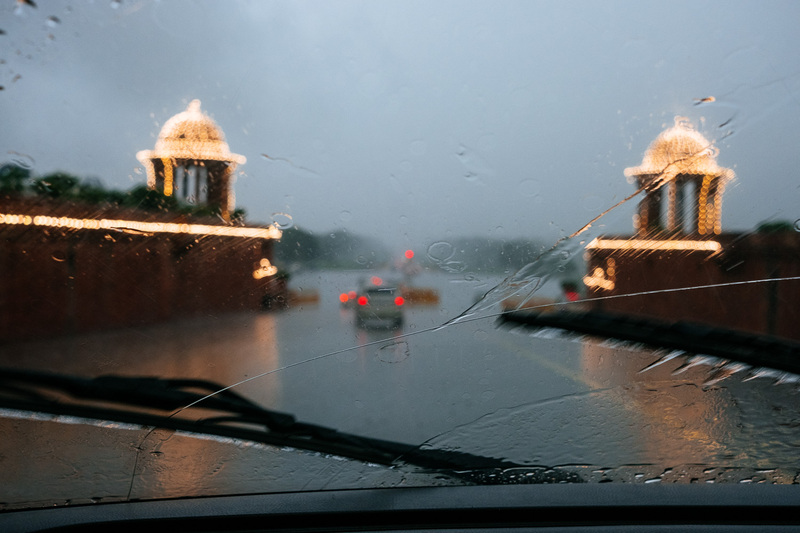 The rain was getting harder and since the Fuji XF 27mm is not weather resistant I stopped holding the camera out of the window and shot through the windscreen of the car instead. Have You Ever Seen the Rain posted on Little Big Travelling Camera on August 14, 2016 3:17 pm .